A daily dose of Suboxone, a medication that lowers opioid withdrawal symptoms and cravings. Addiction clinics in and around Pittsburgh have become a legal battleground over the past year, with federal prosecutors charging 13 people for fraudulently prescribing a common addiction medication, Suboxone. The prosecutions were funded by a federal program formed in August 2017 to combat prescription fraud. The program has subsidized at least 113 charges in 12 federal districts so far, and the vast majority have involved dangerously addictive painkillers, such as OxyContin, which kill more than 13,000 people per year. 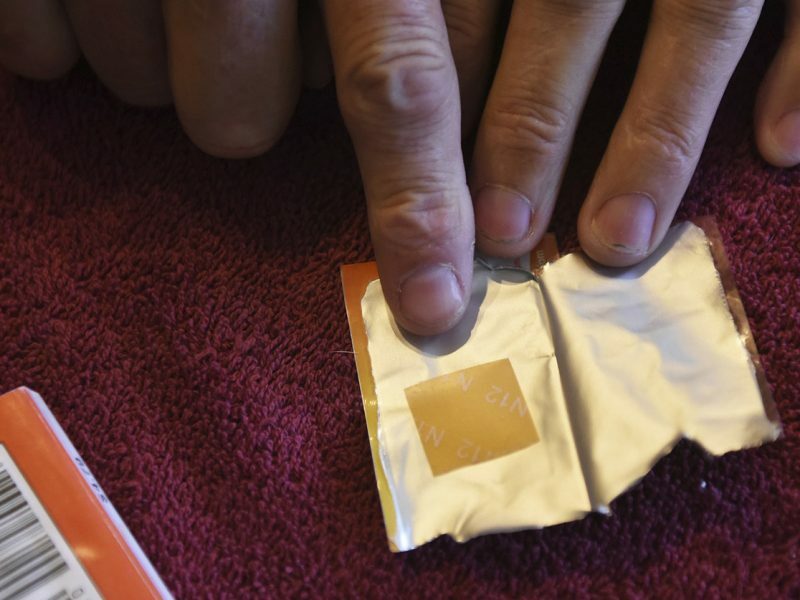 But in Western Pennsylvania, most of the charges brought by the program’s prosecutors involve the addiction treatment Suboxone, which uses a mild opioid to help people taper off of more potent ones. It’s true that some doctors are prescribing Suboxone illegally: making fraudulent insurance claims, signing blank prescriptions, and even laundering profits at a casino. Some demand large cash payments and knowingly provide the drug to people who sell their meds on the street. But health experts worry that cracking down on these cases could scare off reputable doctors from getting approved to prescribe Suboxone — effectively leading to a shortage of one of the few effective treatments for opioid addiction. In their view, the justice system shouldn’t be wasting its resources on an opioid that can save lives. “Seems disturbing for the US Attorneys to be making a high priority of this at a time when we are so desperately trying to increase access to Suboxone,” Alice Bell, an overdose prevention project coordinator at Prevention Point Pittsburgh, told BuzzFeed News. In their view, the justice system shouldn’t be wasting its resources on an opioid that can save lives. Around 48,000 people in the US died last year of fatal opioid overdoses, largely from painkillers, heroin, and fentanyl, sparking a nationwide public health emergency. Suboxone, an under-the-tongue strip that helps people quit these drugs, is a combination of a mild opioid (buprenorphine) and a drug that blocks the effects of opioids (naloxone). Meanwhile, opioid painkillers are still being prescribed at alarming rates. Nationwide, 191 million opioid prescriptions were written in 2017, the same year the Department of Justice chose 12 districts across the country to participate in the Opioid Fraud and Abuse Detection Unit. The unit funded salaries for 12 attorneys for three years to investigate and prosecute “health care fraud related to prescription opioids.” A team of analysts in Washington, DC, gathered prescription and mortality data to help prosecutors identify doctors to prosecute. The Department of Justice declined to provide figures for the program’s funding. The number of charges brought against providers of Suboxone and other kinds of addiction medicine by each of the 12 districts of the Opioid Fraud and Abuse Detection Unit. As the map above shows, 10 of the districts have not had any cases involving medication-assisted treatment. The Eastern District of California has brought one case against a clinic that dispensed Suboxone to patients in Ziploc baggies in McDonald’s and Rite Aid parking lots. The Western District of Pennsylvania, in contrast, has used this funding to bring 20 total charges, 13 of which involved clinics or doctors providing Suboxone. In one of these cases, for example, physician Michael Cash of Indiana, Pennsylvania, pleaded guilty to health care fraud and unlawfully dispensing controlled substances. Prosecutors accused Cash of pre-signing prescriptions for his staff to give to patients he would not meet or examine. A former patient told BuzzFeed News that those charges matched his experience at the clinic. “You never see Dr. Cash, ever. I literally saw him the first intake and never saw him again,” said Daniel Leydig, who visited Cash’s clinic twice a month for a year before it was raided by federal agents. Leydig said that each time he went, a nurse gave him a prescription slip that already had Cash’s signature on it. He was suspicious that he never saw Cash signing them himself, but took them anyway because he needed the medication to get through the day. Going just 12 hours without Suboxone, Leydig said, would trigger withdrawal symptoms, such as lower body pain, leg spasms, anxiety, and exhaustion. In the end, Leydig felt like the experience was a rip-off. Every two weeks he paid $180 in cash for a prescription slip and a visit with a nurse lasting just minutes. He continued using drugs off and on and nobody seemed to be holding him accountable. Now he attends Twin Lakes Center, an addiction clinic that takes insurance and offers counseling. Attorney General Jeff Sessions announces the creation of the Opioid Fraud and Abuse Detection Unit on Aug. 2, 2017. Cash-based addiction clinics like the one run by Michael Cash are not uncommon. One 2017 survey of 327 Ohio doctors certified to prescribe Suboxone found only 294 actively prescribing and accepting new patients. Of those, about 47% accepted only cash for a prescription, never insurance, violating physician guidelines. Kentucky’s attorney general compared these clinics to the OxyContin “pill mills” that many blame for kickstarting the opioid crisis. BuzzFeed News spoke with several patients around Pennsylvania. Some described hourslong waits in small, crowded offices and dispassionate doctors who offered nothing but prescriptions for the same drug day in and day out. “I’ve talked to physicians who just kind of believe in the medication aspect,” Mike Krafick, a recovery expert at the Armstrong Indiana Clarion Drug and Alcohol Commission, told BuzzFeed News. Krafick helps connect opioid users with clinics in Western Pennsylvania that offer not only Suboxone, but also a variety of counseling and social services. “If they’re just getting the medication they’re not getting the full continuum of treatment,” he said. Irresponsible Suboxone providers can also lead to more of the drug being sold on the black market, known as diversion. Patients who aren’t monitored carefully by their doctors can easily sell their Suboxone to friends for $10 to $25 per strip — enough to buy a dose of heroin. “Our patients refer to it as the legal drug dealer,” said Scott Constantini, director of behavioral health at the Wright Center, an addiction clinic in Scranton, Pennsylvania. Despite the concerns from health experts, the federal program that’s funding the Western Pennsylvania prosecutor is happy with US Attorney Scott Brady’s work. His 20 opioid cases — including the 13 involving Suboxone — show that he is an “aggressive and efficient prosecutor,” Mary Daly, who oversees the Opioid Fraud and Abuse Detection Unit, told BuzzFeed News. Brady’s predecessor, former US attorney David Hickton, had taken the opposite approach, focusing on cases involving narcotics such as fentanyl and oxycodone, and reprioritizing Suboxone. He charged just three people involved in addiction medicine when he ran the office between 2010 and 2016. “I thought that if I went crazy on Suboxone clinics, I would slow the growth of Suboxone clinics, which were necessary for some people to get well,” Hickton said. Indeed, John Martin, the head of the Diversion Control Division at the DEA, acknowledged that there are “unintended consequences” to prosecuting these addiction medicine physicians.